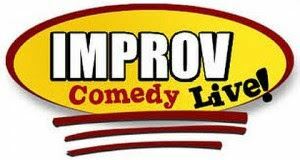 Join us for a Night of Improv at the Historic Everett Theatre - Friday March 9th from 8pm to 10pm. For more information about the show, go to the Historic Everett Threatre website. Cost is $12 per person (not including any fees) so please purchase your ticket online after RSVP'ing for this event. If you're going, let Kim Pelham know so she can help coordinate a meeting point or to carpool.